Yet another 50th anniversary is upon us. For Beatles’ fans this is a big one. On 8/16/62 the Fab Four abruptly fired drummer Pete Best—an integral part of the “wall of sound” that helped propel them to local stardom in Liverpool—and replaced him with Ringo Starr. Well, like SO many things in life, it depends on whom you talk to. The “official version”—which gets endlessly recycled in Beatles lit—is that Pete was a stop-gap choice for drummer and that John Lennon, Paul McCartney, and George Harrison had coveted Ringo (aka Richard Starkey) for months. Producer George Martin had told John and Paul at the band’s audition session for Parlophone that Pete wasn’t sufficiently top grade for recording purposes (though bands would often use a different drummer as a recording specialist and keep the original drummer for live performances). But this was the final straw for the band. With a recording contract in hand and a recording session around the corner, The Beatles—as the story goes—decided it was now or never to make the upgrade. Yet they felt too guilty to break the news to Pete themselves, and handed it off to manager Brian Epstein to do the dirty work. John, Paul, and George never spoke to Pete, then or ever again. There is even a theory gaining some currency that Ringo wasn’t The Beatles’ first (or second) choice for drummer, and that they settled on him only after other Liverpool drummers declined the opportunity, as a courtesy to Pete. (Ringo, on the other hand, may have been under the impression that Pete had quit.) If so, the band was even more desperate to get Pete out of the picture fast. What’s the real story? Pete Best Truthers: this is your chance to tell the world. I can't comment on the subject, about which I know little. But I'll comment on the title of the post: that's funny. was either drummer that hot? i dont think so. There’s no question that it all turned out brilliantly for The Beatles—and we’re all grateful that this band changed the face of pop music and culture. It’s unlikely that the same random, fortuitous sequence of events would have occurred had Pete stayed with The Beatles. (Change ANY input and you have a different output. Aka "Sensitive Dependence on Initial Conditions.”) But the band didn’t know this then. And even IF Ringo was a significantly better drummer, Pete had been doing fine as the drummer and was a big draw for the fans. Even George Martin reported he was shocked that the band replaced their most popular member and he was concerned that his criticism of Pete’s ability as the drummer for Beatles' recordings had cost Pete his job as the drummer for Beatles' live performances. As a BUSINESS decision Pete's termination is still a tad puzzling to me. I know the boys weren’t businessmen, but Brian Epstein certainly was. GM is documented saying that PB was the most marketable member of the group. In his autobio, he says he was informed that “pete had left” the group. I'm going back to check some old notes I had that GM had gone to see the band play live in Liverpool, with pb on drums, and the proceeded to make the contract offer official after that. there was not a condition of "change the drummer" because, if there was, then GM would NOT have been surprised to see a strange new drummer on sept 4. Also. if he DID say to change the drummer, he certainly would have provided some recommendations or guidance what kind of drummer to look for...including MAYBE someone that GM can meet/audition the candidate BEFORE a pricey studio session. Obviously, for a producer who had just signed a contract with this new band, GM -- or any producer -- would be quite p*ssed to learn that his newly contracted group was making an important, post contract, material change to the band, without asking the producer for ANY insight of guidance. If the reason was musical in ANY regard, for sure, these recording newbies--with their ONLY contract offer ever-- would want to consult an expert as to what kind of drummer they should bring in. No such discussion occurred, which reflects that "drumming" was not the reason for dismissal. "not a good enough drummer" was a convenient excuse to use though. RS was not the first drummer asked to take pete's place, nor the 2nd. RS was asked because others had said no. With a TV appearance scheduled for Aug 23rd at Cavern, someone in that band wanted PB out BEFORE the performance was recorded for TV, and BEFORE the Dezo Hoffman promo photo shoot in London on Sept 4th. With other drummers saying "no", the instigator was desperate, so that band member (with personal/professional motivations) sold a story to each party as to why "we need to change drummers", even though the instigators real motivations would remain hidden. The 3 band members needed a yes, and RS was the last resort, NOT the first asked or recruited as commonly thought. So, it's highly plausible and possible that they told RS the same thing they told George Martin, that 'pete left on his own". Go read up. See Bill Harry's "when pete was the most popular beatle". In a later WINGD documentary, Sir Paul even says 'pb was a a really good drummer" and documents he was dismissed because he "didn't fit in". I would suggest that may be true, but not in a negative way. The "didn't fit in" could allude to Sir Paul's plans in 1962 "pete didn't fit in...to my personal plans because it was my band, i was singing, writing, and fronting, yet pete had more female fans, and had a larger mail pile from the fan club.. Ask yourself this: your band FINALLY has a record contract, after all other record labels have said no, they had zero other offers, and you learn that the producer may want to use the more popular member for the marketing of the new record. 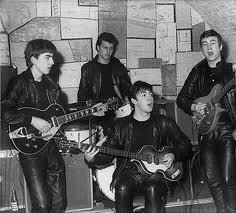 After all, the local papers were already referring to them as 'pete best and the beatles". When they got record deal, it was PB's photo in the paper. Originally, GM wanted to do a live record, SOOO..it only goes to reason that, of course, you'd want to use the LIVE drummer. Consider: if GM reports that they told him that the 'pete had left", then GM would have no reason to get angry or complain about a possible breach of contract for them making a material change to the band AFTER signing the contract. That would indicate that they did not use good faith in signing the contract, that they had a hidden intent to change a member AFTER the contract was signed. So, consider: if they told GM that 'pete had left", its also highly possible that they told RS the same thing that "pete left..the drum job is vacant", as reported (but completely UNNOTICED) in Peter Brown's 1983 book "the love you make", where the narrative states that Ringo was offered the 'vacant" drum chair, BUT, since they don't tell RS that pete had been dismissed, then its very possible they told RS "pete left on his own", just as they told George Martin. Meanwhile, someone at NEMS had already typed up the "PB leaves by mutual agreement" memo to Merseybeat. Have some fun, go take a look at the Dezo Hoffman Sept 4 photos, and see who is front and center in the posed promo pics AFTER the drummer has been dismissed. Consider also, with a record contract FINALLY in hand, AFTER the producer sees the band live WITH the popular drummer, it makes ZERO sense for Sir Paul to comment "didn't fit in", because that would reflect a PERSONAL, non musical reason for a dismissal, and COULD have resulted in outright cancellation of the brand new recording contract. Musically, its obvious that GM was satisfied with PB's live playing, as it would also fit well for a live album as well. Studio work can be done by a session man, as GM intended, and PB's popularity and image would obviously help them sell records AND draw crowds. But nah..on Sept 4th, unknown to GM, they bring along RS, who had no idea he's been manipulated to join the group, to take the place of someone who has been fired. RS proves to be not-so-good on Sept 4th, as documented. Neither GM nor RS were aware that PB had been dismissed. we know that GM was told "pete left"...but it appears also that RS may have been told the same thing, that "pete left". Ah..but why..whats' the motivation? Well, that's up to you to do your research now. Fins the Macca Wings video comment. Also,,see the 2007 Larry King interview when Larry asks Ringo "how did you join the band? "..and Sir Paul hijacks the answer. In the new Please Please Me CD re-release, there is a mini-documentary where RS comments that "you'd sell your soul then to be on a record". I'd offer that RS did not know that Pete had been dismissed, and agreed to take a vacant drum chair with a band that had a fresh recording contract in hand. But..who was so desperate to ensure that PB gets replaced before the Granada TV recording, and before the Dezo Hoffman photo shoot? Who was so desperate that they didn't care if they wasted GM's recording time on Sept 4th by bringing in an unrehearsed drummer. REMEMBER: RS was a live drummer, NOT as studio drummer..SO...and here's a huge factor to consider: RS had ZERO experience with the ORIGINAL songs that the beatles planned to record. Zero experience with Love Me Do. Zero experience with PS I Love You..so there is NO WAY that anyone can see RS was a better drummer for those songs, when he had never played them before. NOW...he would have 2 weeks to learn them for a recording session! That's a VERY risky move and would cause any producer to say "WTF is this..he doesn't know the songs we're recording!" So, what I'm saying is this: the reason of "bad drummer" is TOTALLY incongruous with GM's experience seeing the band live. GM wanted THIS band, THESE 4 guys, THIS energy, THIS atom beat of the live shows. THIS popular drummer for marketing purposes. The real story is NOT 'why was pb dismissed". The real story is: How was RS really recruited, when he had no experience with the beatles' original music that they had been practicing/rehearsing all summer since the original session on June 6th 1962. Separate the 2. IGNORE the dismissal, don't let that distract you. Ask rather, "how was RS recruited...what was he told about the vacancy (or potential vacancy), and what exactly did they tell him to get him to say YES, when other drummers had said NO. Then, why would they tell GM that "pete left" as GM reports in his 1979 autobio. As in business don't so much question the outcomes...the results. Question the underlying motivations that led to the actions that led to the results. Who was motivated to make a major, material change at such an absolutely crucial, critical, post-contract, pre-TV, pre-photo session ?? Have some fun with it. Don't ask about the dismissal..ask about 'why / how is RS hired?" Try it Law and Order Style: who was motivated to hire RS, and why,...then rule out the suspects. The answers will reveal themselves. Sorry for any typos or repetitions here. I hope you enjoy asking the questions as much as i did. I have been a Beatles fan for about 20 years and have had a big interest in the firing of Pete Best for nearly as long, and I must say this was very interesting and extremely well done. Now the question is, how long until it is properly published in a book? If the reason to fire Best was about EMI, why wouldn’t the Beatles have asked Martin what drummer to hire? It’s amazing to think everyone has overlooked this information. I'm not so sure that Ringo was THAT unprepared for the recording session. According to several reports I've read over the years, Ringo had sat in with the lads several times before he was invited to join, and I don't think "Love Me Do" or "PS I Love You" were brand new tunes he hadn't heard or played. Also, as a former drummer I can attest to the fact that a drummer doesn't need quite the same degree of rehearsal that a guitarist or vocalist might need, so two weeks should have been plenty of time. It's true that Ringo didn't cut it on the first session with George Martin and was replaced in the following session by Andy White, but that has a lot to do with The Beatles' klunky arrangement of "Love Me Do." Even the final version with Andy on drums doesn't sound much better to me than Pete's or Ringo's version. But your overall theory is worthy of consideration. I'm not an expert, but from what I've read in a few books Ringo was considered the top rock n' roll drummer in Liverpool, as the backbone of Rory Storm and the Hurricanes. I've also read that the Beatles had him in their sights for a long time, but had nothing to offer him until they got the record deal. 50 years, damn how time flies. Why all the fuss about the drummer? I'll tell you why. When I hear a band with a great drummer, that is primarily who I listen to and enjoy. Whether the band is forced to follow the drummer, or preferably the drummer is sensitive to the song, guitars and singer, makes all the difference. John says he is a "former" drummer, but I can attest that, like Pete, he is/was one of the "best." Good stuff John! Keep up the good work! I always appreciate it when former band mates drop by. How come blogs don't have a 'like' button on posts and comments, so I can weigh in a little without doing any work? I'm wondering, since John changed the blog some, if everyone has read what he wrote about meeting Pete Best? John wrote some fantastic stuff, fascinating, about Pete's attitude about all of this, and how he is doing today. I don't want to spoil it, but ... well, okay. Enough. John, could you post an easy does it link to that post or posts? I will 'like' it. Dorothy, I could arrange it for readers to be able to evaluate each post, but I wouldn't be able to restrain myself from jumping in and voting myself. :-) On Amazon.com I even critically reviewed my own book — "The Running Game" which I wrote in 1984 — perhaps a first for Amazon. (I even tried to evaluate my own review of my own book, they wouldn't allow that.) You can see why they don't let me out much. Hey John, quite a post. So Ringo drove them in a Ford Zephyr eh? Remember when I brought you home to Arlington that one winter? It was in a '61 Ford Zephyr I owned....blew the head gasket about halfway back, my dad came up and towed me home. What a bummer, but what a neat little car it was!! Let's stipulate: okay, RS was a good drummer, let's say he was among the very best. Contrary to a prior post, he was not "in their sites for a long time", and it's a fallacy that they "couldn't offer him anything until they had a record contract." Yes, he was friends with them, BUT, the band was offered a contract, the official contract, after GM saw them play live, WITH pb on drums. And, further, GM is documented in saying that PB was the most marketable member of the band, and an integral part of the physical presence of the band in live setting. (Pretty strong support of the original drummer for obvious BUSINESS reasons. The band played some good music too!). Aside from that, PB's best ally in the band was lennon, who was clearly preoccupied during the early august time frame, with a wedding to take place the day after the Granada TV /Cavern recording. Those 4 guys (with original drummer) comprised the band that GM was knowingly contracting with, and was expecting to see those 4 in the studio. To suggest that the 3 guitarists (or combination of the 3) and / or the bands manager was intending to make a material change AFTER the contract was signed, is to suggest that the band did not enter into the GM contract in good faith, as they (or someone within) had a hidden intent. Did GM conduct due diligence and ask "any material changes you're thinking of in the near future?" or did he simply just trust in the contract counterparty? A recording contract in hand made it easier for them to recruit RS, but RS wasn't incredibly thrilled with the Hurricanes situation anyway. However, the record contract was certainly a nice carrot for them to hold out for him. However,how could he, or anyone, expect for RS to play ORIGINALs in the recording studio, 3 weeks away, when he had never even auditioned for George Martin, nor did RS have any experience with the original songs. None of the guys could read or write music, and they didn't have a demo recording for him to practice with. (OR..DID they have a demo? if he did have a demo to help him learn any of it, where is any of that documented that RS quickly learned the original songs that the band was planning to record?" Further, how could GM , or the engineers know what RS could or would bring to the studio on Sept 4, (as they were NOT rock-n-roll recording engineers.) ? Hence GM's comments on sept 4th "i dont know him, im not using him". BUT, they did let RS play on Sept 4. The results weren't good, and thats documented several places. That was likely a very difficult day of misrepresenations to live through..but they all survived..and set a followup date of sept 11...and yup, that's when Andy white showed up, due to RS's poor drumming on sept 4. As mentioned above, with a record deal FINALLY in hand, its incongruous to risk failure, risk the contract, risk the $$ loss on studio time, to bring a recording studio stranger into the mix, ESPECIALLY on such short notice. The only way that could happen LEGITIMATELY, is if the band (and manager) deliberately misrepresented to the producer, by simply saying "pete left". Consider: The band and eppy could have EASILY told GM "pete left..can you make sure the professional session drummer is there on the 4th?" PRoblem solved...and no nooed to rush out and recruit RS for a studio date they all know that he is unprepared for. But..no such dialogie occurred. RS was brought in on "probation", not an offical member of the band until many months later into 1963, With all due respect to RS, he was a hired hand, a temp employee, at the time. You won't see that documented too much anywhere either. Aside from any of that, its incongruous to FINALLY have a record deal, with a plan to record ORIGINALS, and bring in an unrehearsed drummer, no matter how allegedly good the new drummer is..for the very first OFFICAL recording session. Consider: lets day Led Zeppelin signs a recording contract, and then they fire John Bonham before the first recording session, and bring in an unrehearsed stranger. Rolling Stones: "hey, we just got record contract..lets fire Charlie, and bring in our freind that has no record studio experience". Not only was RS unrehearsed on the originals, but the band/manager didn't tell their producer "pete left...we need a new drummer..what kind of drummer should we bring in Mr MArtin..what would you suggest we do?". They didn't do that because they (allegedely) used the same line to recruit RS,,that "pete had left..drum chair is vacant..we need a drummer for our record contract.". Doesnt THAT sound sweet? how can anyone say no to that offer? On short notice, they couldnt tell GM anything yet, because they had to sell the "pete left..drum chair vacant..we have contract" story to RS first..so when RS shows up on Sept 4th, they can tell GM the same thing, that "the other drummer left". If...lets say IF, for any reason, GM did not like PB's drumming, then why not just be honest and tell Mr MArtin "we sacked the drummer". or "we're THINKING of sacking the drummer"? They couldnt say "we sacked PB" because GM had clearly stated (and eppy clearly knew) that the current drummer was a true asset for the band's live shows, and would be valuable also for marketing not just the band's image, but the new record also, easily continuing the current run of popularity. For fun, ask yourself: okay, RS is a good drummer. but whats the real motivation no one telling GM that they were planning to bring RS to the next recording session? Its a real simple question. Business lessons from Rock: ask yourself if there is a hidden agenda, an ulterior motive for a) not telling producer beforehand that they plan on a material change AFTER the contract is signed, B) the apparent misrepresention (empty drum seat, you'll play on the new contract, etc) to RS (when recruited in mid-august) and GM (on sept 4th when they should up with surprise of new bandmate, with less 3 weeks of exposure to the original music planned for the recording sessions). The mythology is "they wanted RS all along". IF that was even remotely true, then they would have brought RS to the studio with them in June, but there does not seem to be any documentation anywhere that reflects any conversations where the bandmbers, either collectively or individually, discuss the possibility of RS joining them. Maybe they DID have such conversations however informally, but, If so..They certainly would have tried to introduce RS to George Martin BEFORE they bring RS to the studio on Sept 4th. IF such documentation or references or research exists as evidence of prior recruiting of RS, or some plans evolving to bring him in "after" they get a record contract, i'd love to see any of it. "why was pb dismissed" is not the question. the real question is "what is the story that the band and/or manager told George Martin on sept 4th about how/why RS was joining them in the studio ? b) the other drummer left. Have fun asking yoruself the questions. That's all for me for now. Im not saying i have answers..what im saying is "yes, i have questions (and possible replies) that relate to the apparent incongruities". Anonymous: I was hoping someone would challenge your thesis, so we’d get a little controversy going, but folks might be a tad intimidated by the breadth of your knowledge on the topic! In the absence of other commentary, I’ll play devil’s advocate here—even if I seem to contradict my initial post. 1. Many have reported that Ringo WAS in the Beatles’ sights for a long time. Of course that doesn’t mean it’s necessarily true. (Nor does it prove that Ringo was their first choice.) But it is reported that he hung out with them a lot in Hamburg when his band, Rory Storm & the Hurricanes, was gigging there. And it’s also been reported that Ringo was their local choice to substitute for Pete when Pete was ill or couldn’t make a gig. http://www.totaldrumsets.com/ringo-starr.html is one source on that. 2. From reading multiple sources it’s hard to know how attached Martin was to keeping Pete in the band, even though he recognized Pete’s popularity with the fans. I just discovered: according to Martin himself (in his book "All You Need is Ears") Epstein called Martin before the Sept 4th session and explained Pete’s release from the band and Ringo’s addition to the group. Martin’s response was “Fine, bring him along and let him see what we’re doing, and next time, we’ll have a go.” Martin didn’t seem disappointed with the news. 3. You may be right that some of the Beatles spoke to Johhny Hutchison and other drummers before they spoke to Ringo. Nevertheless most sources report that Ringo was, in fact, their first choice, though sources do tend to echo earlier sources. (Either way, I would not doubt that Ringo was on a probationary period for a long time because they wanted to make sure he could cut it for recording.) But George Harrison, for what it’s worth, HAD been pushing for Ringo for a long time, according to "The Beatles Anthology," Mark Lewisohn ("The Complete Beatles Chronicles"), Steven Stark ("Meet the Beatles"), Hunter Davies ("The Beatles") and Jude Southerland Kessler’s ("Shivering Inside"). John is even quoted years later as saying that George brought Ringo in. 4. You’re assuming Ringo hadn’t already played “Love Me Do” & “PS I Love You” with the band live. The Beatles did perform some of their originals live. (And I just found out that “Love Me Do” was written in 1958.) Also, two weeks is a lifetime to work in a new drummer on two or three songs. But despite my quibbling on the above, your larger point — if I understand you correctly — is a good one: The Beatles, especially Paul, were so anxious to get Pete out before it was too late (for a variety of mostly non-musical reasons) that they fell over each other trying to get a replacement, and Ringo may not have been their first or second choice. I’d concur with you that Paul’s jealousy of Pete (as the most popular member, especially with the birds) was certainly a major factor, but I’ve also read that as a drummer himself Paul was frustrated that Pete was not his style of drummer (too much of a basic rocker for Paul’s more varied pop songs, whereas John was more satisfied with Pete’s basic approach and was closer to Pete personally than the others were). And then there was George’s friendship with Ringo. Also, Epstein, despite his protestations about not wanting to fire Pete, undoubtedly wanted to sidestep the looming scandal involving a love child of Mona Best and the band's roadie. (Plus Brian—and possibly John & Paul, according to some sources—considered Mona somewhat of a challenge to deal with.) So if the replacement of Pete was Paul’s brainchild, he had lots of accomplices. Perhaps Paul was the prime mover in firing Pete and methodically worked behind the scenes to convince the others who had their own reasons. We may never know. But “in the end” it all worked out pretty well. Even Pete seems to be happy now with the way it turned out. And THAT is an amazing story in its own right. Here’s a fellow who missed out on a lifetime of fame and fortune—and seems GRATEFUL for it! I’m obviously a huge Beatles’ fan and my admiration for their music—especially their songwriting—increases over time. But for the qualities that count, which transcend musical talent, the Beatle I most respect is Mr. Pete Best. The theory that Pete Best was fired because of Mona Best's lovechild is nonsense. Were that the case, they would have fired Neil Aspinall as well, but they didn't. Hmm. I think there's a difference between a band member (the most popular Beatle in 1962) whose mother is embroiled in a scandal (a woman who ran the club the Beatles played at regularly in the beginning) and an obscure roadie who is embroiled in a scandal. But it was probably not the primary cause of Pete's firing. As to your earlier question, I'm trying to encourage "Anonymous" (whom I know) to go more public with his theory. It wasn't the same thing, though, because Neil wasn't a member of the Beatles.